About Family Inc. - Family Inc. 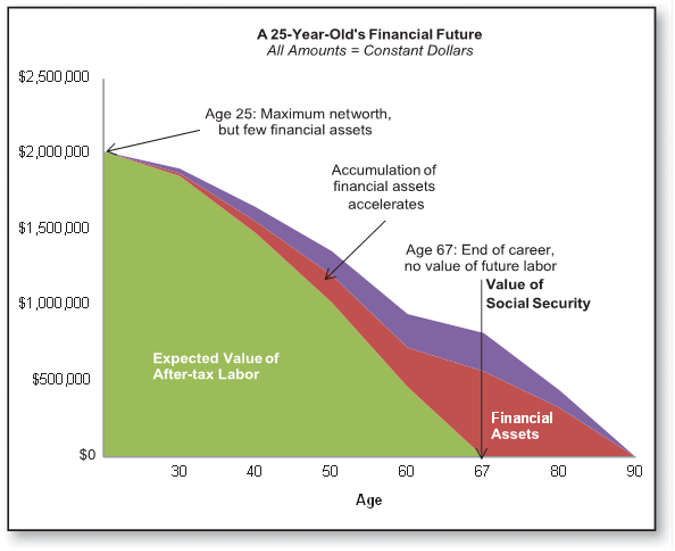 The picture above portrays the financial game of life that we all play – we start the game with a lot of labor capital (pictured in green) and the objective of the game is to convert this labor into financial resources (pictured in red and purple) which will support us when we can no longer work. Smart choices in education, career and entrepreneurship maximize the value of your labor while prudent budgeting, saving, risk management and investing allow your financial capital to grow over your working life. This Family Inc. framework will help you identify and navigate all of life’s major financial decisions and develop a plan that is customized to your unique circumstances. Financial security is much more than effectively managing money. It’s about sound choices regarding education, career, investments, entrepreneurship, budgeting, insurance, retirement, charitable giving, estate and succession planning. Regardless of your life stage or financial profile, Family Inc. will give you the knowledge, tools and confidence to manage your family’s finances and help you make the most of your opportunities. Family Inc. is based on proven corporate finance concepts modified to address your family’s personal financial planning needs. These tools and concepts allow you to take advantage of best practice business concepts taught at elite business schools and time tested in corporate America to increase your financial security, effectively manage your advisors and teach other family members the “financial game of life”. The surest path to financial security is to develop and effectively manage your labor. You must act like an entrepreneur with your labor regardless of your profession. Consensus financial planning recommendations often result in sub-optimal outcomes because they a) ignore your largest asset (labor), b) optimize the wrong goals (short-term predictability at the expense of long-term purchasing power) and c) underestimate a family’s true investment and consumption horizon. Combining your labor and capital through entrepreneurship is an effective way to maximize the value of all of your assets. Every family needs a CFO! Start Playing Your Financial Game of Life Now! Sign up to create your customized CFO Dashboard and access powerful financial planning tools. About the Creator of Family Inc.
Douglas P. McCormick has a lifetime of experiences that provide the foundation for the framework, principles and tools in Family Inc. As a professional investor, he has spent two decades creating value for institutional investors by partnering with families and entrepreneurs to build and grow their businesses. The lessons in Family Inc. reflect his own journey to achieving financial independence which began at the age of seven, when his Dad helped him purchase AT&T stock. During his professional career, he has been an active duty Army officer, a Harvard Business School student, an investment banker, a private equity investor and entrepreneur as co-founder of HCI Equity Partners. Doug is also a social entrepreneur where he serves as Chairman of Bunker Labs, board member for The National Endowment For Financial Education (NEFE) and Team Red White and Blue, Advisory Board member for Blue Star Families and successful graduate of the Henry Crown Fellow program, class of 2011. As a Managing Partner at HCI, Doug oversees all aspects of the firm’s strategy, investments and operations. Before joining HCI Equity, he worked at Thayer Capital, Morgan Stanley & Co and served in the U.S. Army. Doug holds a Master of Business Administration from Harvard Business School and a Bachelor of Science in Economics from the U.S. Military Academy at West Point, where he graduated at the top of his class while serving as First Captain and Co-Captain of the Army Wrestling team. 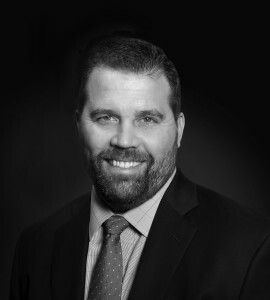 Doug’s personal passions include his family, his dogs, outdoor activities, politics, veteran causes and empowering others through financial literacy. His writings and recommendations about financial literacy and veteran causes have been cited or featured by major media outlets to include The NY Times, Wall Street Journal, USA Today, CNBC, TIME, PBS, NPR, Investor’s Business Daily, Fast Company, American Association of Individual Investors, The Larry Kudlow Show, Stars & Stripes, Home and Family Finance Radio, Military.com and The Motley Fool. You can follow Doug’s work and writings through twitter, LinkedIn and Facebook.